Thanks to Louis van de Wiele, who helped me out with some scripting and CSS stuff. On Saturday November 23, it was time to celebrate our 5thanniversary. 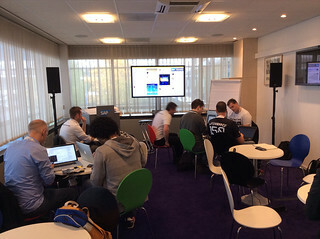 For the 5th time SAP NetWeaver and SAP TechEd enthusiasts gathered together to share knowledge at SAP Inside Track Netherlands, sitNL in short. 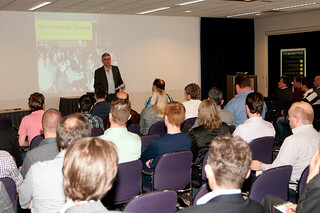 The Ciber office was crowded, 62 participants joined for our SAP TechEd XPerience. 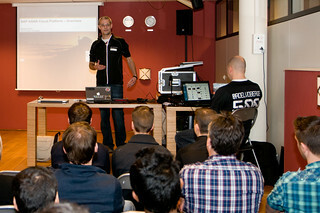 Roel van den Berge already shared his personal sitnl experiences. In this blog I’ll try to recap the day in pictures, slides, replays and some words. Practical use of innovations, check out how Mr. Beanuses scissors, his credit card and his socks to create a lunch. Innovations without practical use or where the end user experience is not taken into account will have a hard time in maturing. Try it yourself, experience the cloud athanatrial.ondemand.com. When asked about participating the opensap courses, the majority of the sitNL crowd raised their hands. And made Matthias happy of course. 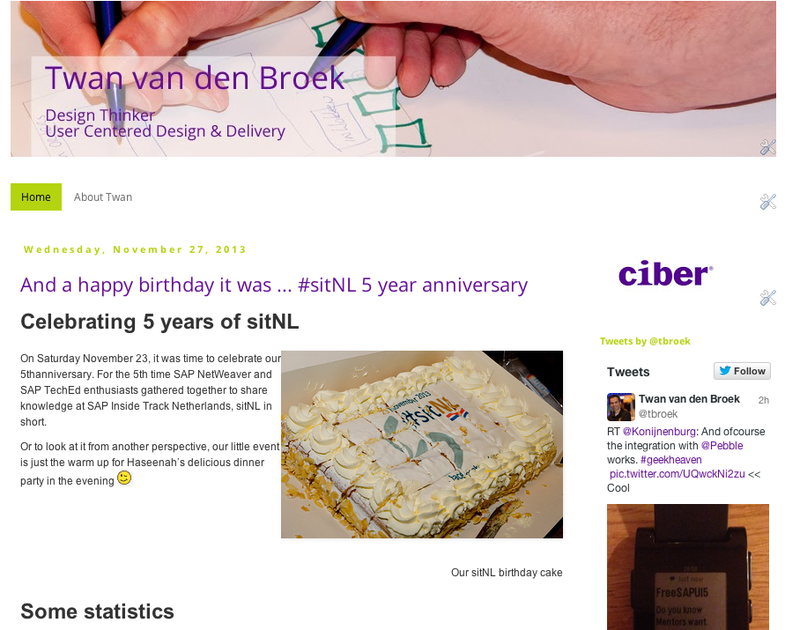 Thanks to Martijn Linssen we are able to do a sitNL Tweet Analysis via TwUniverse. And for your convenience, Martijn uploaded a pdf file to our wiki page. 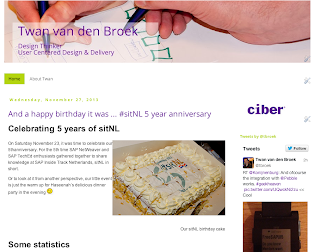 648 tweets, starting at Nov 17 20:50:27 2013 and ending at Nov 25 08:44:22 2013 on: #sitnl. That is 3.60 per hour. After an explanation of the challenge we kicked of with the first step. A short interview, 2 minutes sharp, to gather personal experiences on attending events. 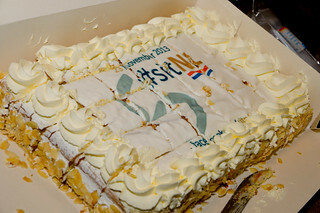 Counting down, only a few days to go before sitnl kicks off. 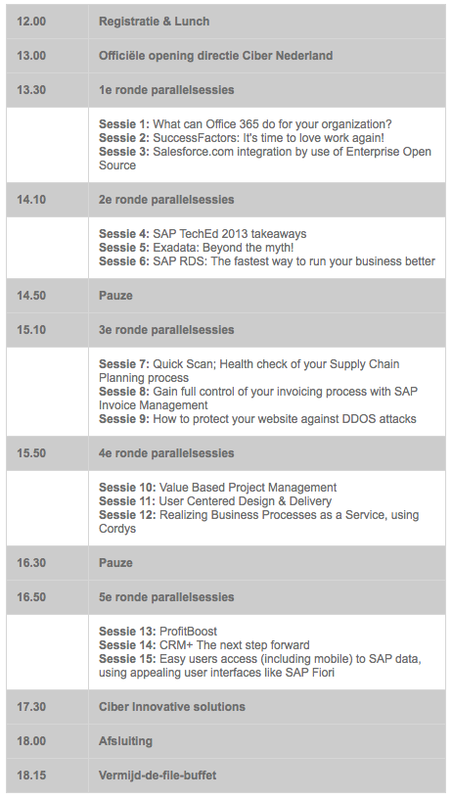 I think we have a very interesting line up at our fifth SAP Inside Track NL. Thanks to all the speakers who have submitted a session. You can gather new knowledge by sharing yours. How to bring relief to Field Service Engineers? How to create a user interface for Field Service Engineers who work in highly complex environments? How to facilitate the engineers in their daily administration work? How to replace their +20 individual applications with one new working space? How to involve the engineers during the design? How to make sure that the final application is accepted and used? The answer is of course: Design Thinking! A story told by Julia Dorbic from D-Labs and me at SAP TechEd 2013. Due to the success of the previous editions, Ciber is organizing the 6th Ciber Knowledge Carrousel on November 14th. This year we offer tracks for Management, Business and IT. The parallel sessions are gathered around topics like Cloud, Core, Methods, In Memory and Mobile. You will hear about real life stories at customer situations and new developments and innovations within IT. 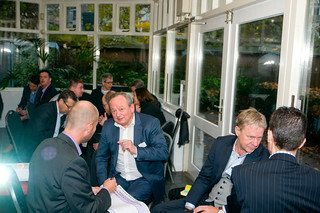 15 High quality sessions presented at an inspirational location, the Orangerie, in Den Bosch. The Orangerie, a former Catholic Church is situated in the center of Den Bosch, right in the middle of its beautiful shopping district and lovely canals. 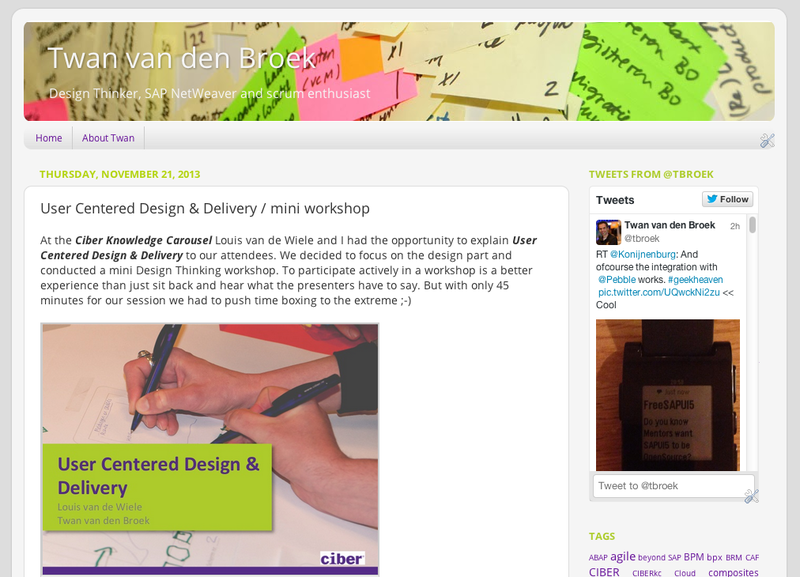 You can register for free at the Ciber site or check out the agenda first. 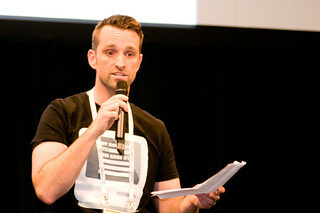 SAP TechEd recap, together with Sven van Leuken, we will talk you through the highlights from last weeks SAP TechEd on Mobile, Cloud, In Memory and User Experience. User Centered Design and Delivery, together with Louis van de Wiele, we will explain Ciber’s methodology on User Centered Design and Delivery. Prevent building applications that will not be accepted or used. With a small Design Thinking workshop you will experience the power of co-creation and co-innovation. Hope to see you November 14. 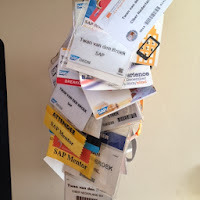 Together with 10 colleagues I visited SAP TechEd in November 2013. 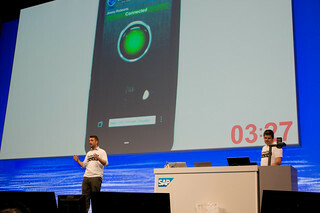 Team CloudSitter won the SAP InnoJam on Monday with an app that monitors new born baby’s on their wellbeing. Premature babies have an higher risk on Sudden Infant Death Syndrome, that’s why we came up with a sensor that tracks heartbeat, temperature and breathing. Information is stored in a central database in which thresholds can be validated. If there is reason to warn, the mobile app sends an alarm and changes color. Time to check upon your child. 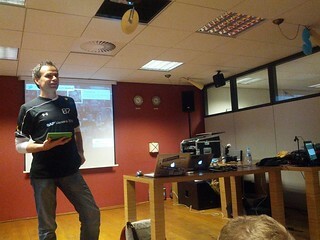 Winning InnoJam meant that we could also participate in DemoJam, the ultimate stage for an SAP NetWeaver professional. And guess what - we won!! 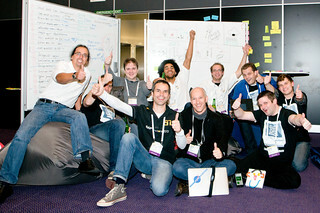 Something new to SAP events as never before a team was able to win both InnoJam and DemoJam. Matt again, this time on DemoJam stage together with Andreas Profitlich. So how to top that? No idea, this makes it best SAP TechEd experience ever. 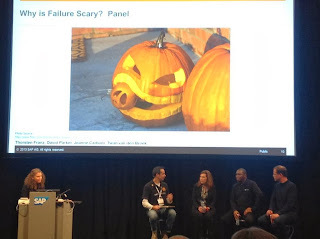 While normally I attend SAP TechEd to gather as much as possible new information and hands-on experience, this year I got hooked up into several other kind of activities. Final preparations for DemoJam on Tuesday. 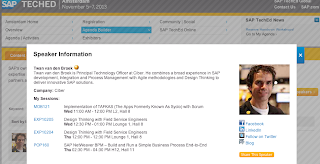 An interview on Wednesday about me attending SAP TechEd. Winning InnoJam and later DemoJam, being interviewed - it was a surreal experience and by that the strangest SAP TechEd ever. 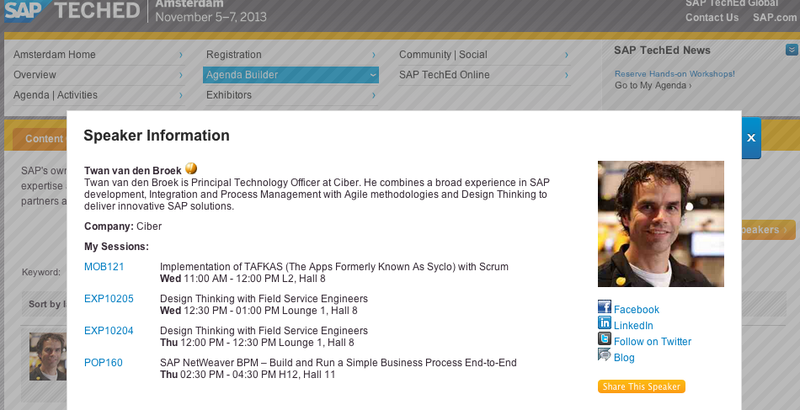 Focus of my visit to SAP TechEd has changed over the years. In the early years I filled my agenda with at much hands on sessions as possible. 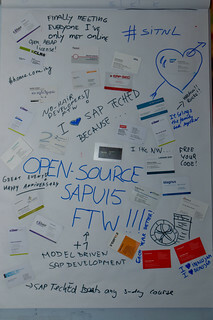 Lots of ABAP, some MiniApps (early mobile aspirations), SOA and later BPM. But somewhere from 2009 on it has changed to meet as much peers as possible. Sure, hands on sessions are still really valuable during the event, but meeting and discussing with experts and peers to build your network comes in handy throughout the whole year. Next to that I also like to bring something to SAP TechEd. 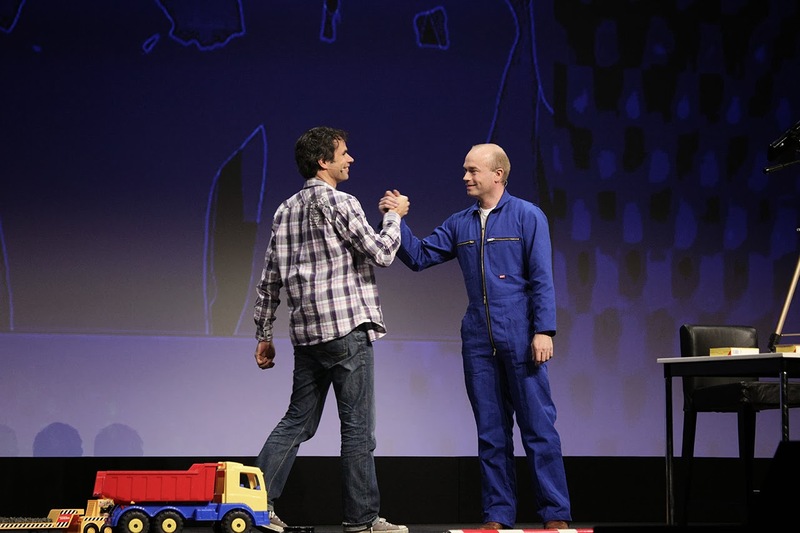 I’ve done some talks on applying scrum to the SAP world, participated in BPM hands on sessions and as an ultimate achievement: reached SAP DemoJam stage in 2012, together with colleague Leo van Hengel. POP160 - Assisting a BPM hands on workshop, covering BPM, BRM and an SAPUI5 user interface. 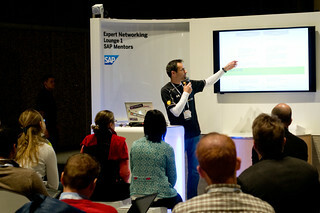 I wish you all a very fruitful SAP TechEd in Amsterdam!